Hey Mieke, how are you? What was the last thing you ate and how would you rate it out of ten? It was a salad (how boring). Sadly, being an athlete, most of my meals tend to be rather dull but packed full of Nutritious Goodness. It was a pretty decent salad actually, in my opinion: spinach, yellow pepper, cherry tomatoes, cucumber and goat’s cheese. However, in smothering it in dressing I negated all nutritional value so ten out of ten! My list of favourite films isn’t much smaller than my list of favourite books. I have a favourite for every situation or craving for a particular genre; Legally Blonde is my go-to if I want a self-esteem pick-me-up, The LEGO Movie is there if I want some harmless fun. Let the Right One In doubles as my favourite horror and foreign-language film, with The Lives of Others coming in a close second. The film I really wanted to choose is a criminally underrated gem called Bunny and the Bull, but in order to explain to you what makes it so damn fantastic I would have to spoil the entire thing, and I refuse to do that. Just go watch it. Prepare yourself for some major trauma though, I’d advise booking the therapy in advance. Ultimately the number one spot has to go to a favourite book and film: Bridget Jones’s Diary. It’s funny, heartwarming, witty and absolutely relatable in numerous ways. Bridget is a character that resonates with so many due to how real she is: everyone recognises a part of themselves in the lovably awkward heroine, everyone thinks back to a scenario in their own lives that matches the one she’s experiencing on the screen. Essentially, I love this film because I am Bridget, just minus a Mark Darcy (or even a Cleaver for that matter). I make up for this deficit by having quadruple the quantity of awkwardness, being extra clumsy and lacking the ability to function as a human being when around most people. Hurrah! 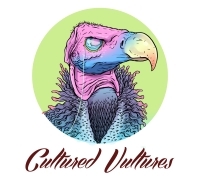 What drew you to Cultured Vultures? I’d toyed with the idea of starting a blog for donkey’s years but always struggled to think of what I could write about. I didn’t want it to be a general day-to-day kind of thing because I was certain nobody would read that at all. It was something that always stayed in the back of my mind but never came to fruition, partly because I felt like running a blog would be too much of a lonely affair and would be akin to me monologuing alone on stage facing an empty auditorium. When one of Cultured Vultures’ adverts for gaming writers cropped up on my Facebook towards the end of last year it felt fortuitous: it was exactly the kind of gig I’d been looking for, especially in regards to it being a site with many contributors rather than just me rambling on about nothing in particular. I felt like being part of a community where I could comfortably publish my work with no judgement, gain experience and grow as a writer would be beneficial to me not just as a writer but as a person; it definitely has done both. I have an Instagram where I post about games, my hobbies and other random stuff; you can find me under @mieke_hobbit. 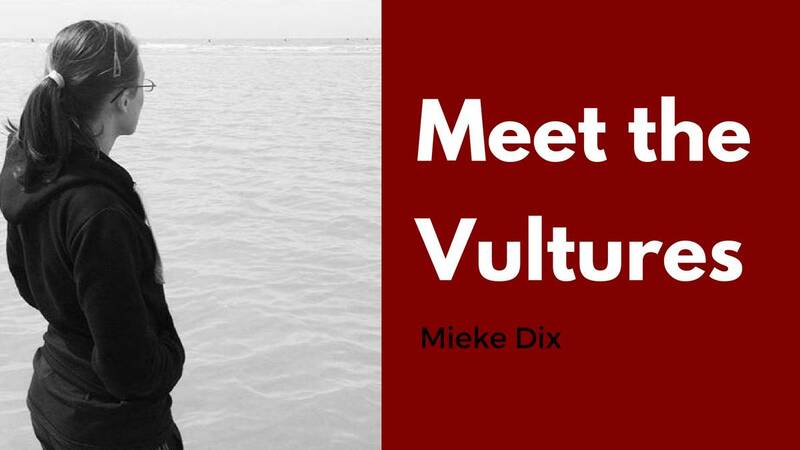 I’m also follow-able on Facebook, and you can obviously follow me on Twitter at @MiekeTheHobbit. Off the web I’m to be found at Alexandra Palace ice rink attempting to look elegant on figure skates, and at Milton Keynes snow slope attempting to look cool on a snowboard. Who would win in a fight between a kangaroo with only one arm or a crocodile with half its teeth missing? Interesting question. Both are predators best avoided. A kangaroo balances on its tail and fights with its legs though so, whilst I still wouldn’t want to have a run in with a semi-toothless croc, I think the ‘roo would have the upper hand in that fight.